today, we are going to have a look at one interesting conversion in detail, the 7,5 cm PaK 97/38 auf T-26(r). As you might have guessed, it’s the 75mm PaK 97/38 on a T-26 hull. As an improvised tank destroyer, it was moderately successful, but let’s have a look at the gun first. The 7,5cm PaK 97/38 is nothing else but the old 1897 (!) pattern French field gun. This excellent gun made a name for itself during the Great War and in 1940, the Germans captured a large number of these guns (although the barrels and ammunition for them came also from Poland and Yugoslavia). The situation on the eastern front (specifically the huge number of Russian armored vehicles) forced the Germans to press this gun into service by mounting it on a 50mm PaK 39 lafette and by mounting a large muzzle brake. However, as an anti-tank gun, the gun was mediocre at best: its low muzzle velocity (570 m/s, caused by the short L/36 barrel and obsolete French 75mm ammo) allowed it to penetrate only 75mm armor at 500m (in World of Tanks terms, it’s probably somewhere around 90mm pen). HEAT ammunition was actually developed by the Germans, but it was issued late and in insignificant numbers (it could penetrate cca 90mm of armor (90 deg) at any distance up to cca 1500m). Furthermore, the gun range with an AP shell was only 1900m, the gun was heavy (difficult to maneuver) and unstable when being fired. It could however serve very well as an infantry support artillery piece, being capable of firing 12-14 rounds per minute. During 1942-1943, most of these guns were replaced by German ones (PaK 40) and pulled back to France, where they were issued to second-line AT units – last pieces were used during the Normandy landings, but by then, they were hopelessly obsolete. The Finnish army actually tested the gun under the designation of 75 PstK/97-38 “Mulatti” – in 1943, 46 pieces were converted in Germany and sent to Finland. Actually, the Finnish army also used the original model (mle 1897) artillery as early as the Winter War (they bought 60 pieces from France, later (from German captured stock) increased to 96 pieces), but all of them were worn out and by 1942, they were recalled to reserves. 46 then went to Germany, where their parts were used for the abovementioned anti-tank guns. Either way, the Finnish thested the “Mulatti” with local 75mm “75 psa – Vj4″ AP-T (tracer) ammunition (6,08kg shell, 590 m/s) – and the results were not bad, at 100 meters, it could penetrate 85mm armor (at 30 degrees, which means cca 97mm in WoT terms). As mentioned above, ten pieces of T-26 Soviet light tanks (designated Panzer 740(r) in the German captured tanks terminology) were converted into improvised tank destroyers in 1943 by having their turret removed. In January 1944, they were attached to 3.Kompanie, 563.PzJägAbt. – they didn’t stay there long, by March 1944 they were declared obsolete and officially pulled from service. Its advantage could be an excellent camo factor. Still hoping for a Marder 3 variant to become a premium tier 3 TD instead. U do noe there were 3 Marder III variants other than the one currently being introduced? Premium tier III turreted TD? The gun was not fully rotating, IIRC it moved only 6 degrees to each side. The FCM 36 does pretty well with a 90 hp engine… and it weighs 5 tons more. Have you driven that thing? I owe one – it’s slow as turtle… as injured or dying turtle. But the view range and gun compensates that enough. Drive a TOG II* for a few battles, then come back and tell me with a straight face that the FCM Pak 40 “Marder I” is slow by comparison. I’ve got one, it’s my most played TD in the game with over 200 battles. It might not be fast but it’s got plenty of redeeming features, like 1.5 sec aim time and 400 meter view range. Exactly, and I can honestly say it’s better than the Marder II in pretty much every way (WG nerfed it too much). About the picture: you don’t really realize how large 7.5 cm guns are in real life untill you stand next to one. The “tiny” 37 mm on the M3 stuart have a barrel which is like 1.5 meters long, you don’t really notice that ingame. And they are heavy as hell too. Dragging this around was no joy. Well, Pak97/38 was intresting thing. It was much better then Pak36 but it wans’t enough for the job so it was replaced rather quickly and either made in reserve or given to allies. However, Germans didn’t drop idea of using PaK38 chassic for AT gun as production of PaK50 (PaK38 drilled to accept common 75mm ammunition and mounting large muzzle brake) started during summer of 1944. Yes, basically a slightly beefed 75 L/24, very limited production though. Not even close in that matter. PaK50 was much better then PaK38 and 75L24. But it’s pretty hard to find proper info on that gun. Marginally longer and using the same ammo as the L/24, how could it be much better? 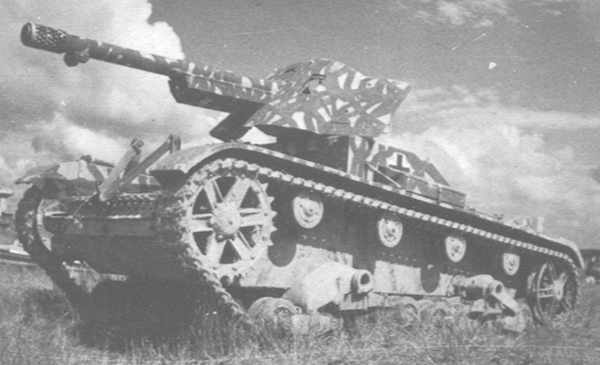 When using Hohlladungsgranate 38 C of 75L24 (as it was intended to use that), gun could penetrate 75mm on all distances and having much better ballistic then obsolete PaK38 that needed tungsten ammunition to compete against newer medium atnks allies could wield (and then only in shorter ranges). Note that while 75mm seems low, its test results of German gun testing so 75mm was acchieved on 60′ degrees (so the penetration on 30′ degrees would have been around 110-120mm). Which is the same ammo as HEAT 75 L/24… same performance, maybe just a little less dispersion. For a 75mm gun, the barrel looks ridiculously massive. This is what you don’t notice ingame, these guns are massive. Think about it, the 8.8 cm l71 is 6.2 meters long, your average car is only 5 meters long. Think about that. So is this the Matériel de 75mm Mle 1897aka Canon de 75 modèle 1897 aka French 75? And they put a 12-14 rpm gun on a T26? And a quick look on wiki says yes and yes. France had 4500 and Poland alone had almost 1400 at the start of the war. An interesting choice to use for anti tank… As for range issues that was solved with a split tail design with the original carriage being horrible at elevation. “Quick 75″ was a gun that had almost a legendary status. France even had a stamp with that gun! And many nations had that gun, either as copy or the real thing. Often being the cornerstone of the artillery arm of those many nations. And as AT-gun, 75mm shell could easily wipeout tanks of the post-war (of WW1) that were made to only withstand bullets! SS please check the pcitures I sent you. I have a live picture of that PaK 97/38 75mm gun. Designated in the folder by 75mm Rheinmetal AT Gun. There is another picture named IMG_0168 it doesn’t have a folder. Please. 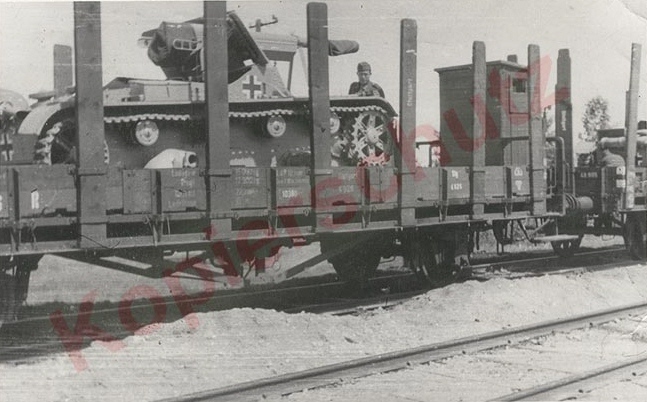 “French guns on German tanks” part 1: gun on russian T-26. Yeaaaah. Sooo german. It runs on Romanian oil too. This has to be the most “pan-European” armored vehicle ever made! It gets better, as both the gun and captured T-26s were used by the Italians, Hungarians, and Romanians too in addition to the Finnish and Germans. And the French might have gotten a hold of some of these vehicles in 1944 so…yeah. If that’s not an “international” armored vehicle, I don’t know what is. correction: regarding China they had the gun, and they had the tank, but they didn’t mount the gun ON the tank. To be fair, only the Germans mounted and operated the PaK 97/38 on the T-26, but considering Wargaming’s logic in giving the French the Marder I and leFH, I could definitely see the 7.5 сm Pak 97/38(f) auf Pz.740(r) as a premium vehicle in the European tree. Yugoslavia did not use Mle.1897 gun after ’20s and (some) rationalization of artillery park, all remaining guns were given to Poland in exchange for Austro-Hungarian 7.65mm M.8 and 100mm M.16 howitzers. 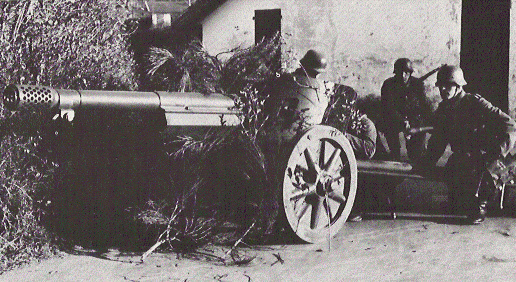 Only French 75mm field gun in use by Yugoslavia in 1941. was Schneider M.12 which was used by horse artillery. He said they got some of the SHELLS from Yugoslavia. It’s not unreasonable to think that even after getting rid of the guns that they never got around to disposing of unused ordinance. The original shells from even the early 1897 guns could be used in the more modern guns of the 20′s and 30′s and even 1940′s. It would not be unreasonable to keep the shells if they were in good condition. M.12 did not use same ammo as Mle.1897 and there was no other weapon that used same ammo as Mle.1897 in Yugoslavia in 1941. Doesn’t mean the Yugoslavians didn’t still have ammo laying around. Asshat. Hey SS, is the French 1897 75mm canon similar to the canon used on the B-25 Mitchell and the M24 Chaffee? Ammo dimensions were same but US ammo was more hotter loaded. Ballistically US 75mm M2 L/30 gun was close (but not the same) as Mle.1897 (Also used by US as M1897). Construction wise US guns were nothing similar to Mle.1897 – different recoil mechanism, different breechblock, different barrel construction etc.etc. M6 as used on Chaffee was also different from M3 and M2 as it had very compact concentric recoil mechanism – it uses barrel as a piston and recuperator spring/piston is placed around barrel. This enabled really compact gun. Same mechanism was used on Soviet 37mm ZiS-19 gun and on version of 45mm gun on T-70 light tank. You ever thought about doing an article on the gun? Are you sure it is T-26 chasis? It looks like polish 7TP tank, which was captured by germans in 1939. It’s a T-26. Don’t get your hopes up.